Kiron was born in 2002 in Vienna, Austria. He started studying piano when he was five years old. Since 2010 Kiron studies at the „MDW – University of Music and Performing Arts Vienna” currently in the class of Prof. Vladimir Kharin. Since 2009 he also studies composition. Kiron won many prizes at national and international competitions for piano, chamber music and composition in Austria, France, Germany, Italy, Japan, Russia, Slovakia and in the USA and played as host at many concerts in Austria and abroad. 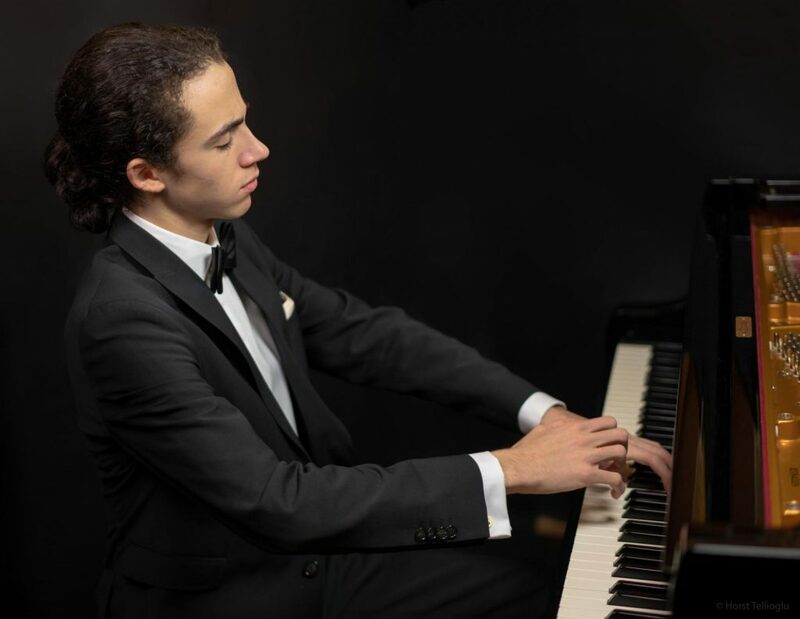 Recently he won the First prize and EMCY Prize at the “Bundeswettbewerb prima la musica” in Linz (2016), the first Prize at the composers competition “Jugend komponiert” in Salzburg (2016), the first prize at the 11th Lagny-sur-Marne International Piano Competition (2017), the first prize and EMCY Prize at the 15th Peter Toperczer International Piano Competition Košice (2017), the first prizes in three Categories at the Fifth Rosalyn Tureck International Bach Competition (October 2017) in New York City, USA, the Grand Prize and special prices at the 3. Internationalen Feurich Competition (2018) and at the X. Savshinsky International Music Competition (2019) in Saint Petersburg, Russia. You can find more about Kiron on his website and YouTube channel. If you are interested in working with Kiron, please get in touch with the EMCY Office.